Terri Norton (front left) and a group of students from The Durham School went to Houston to help with the recovery efforts after Hurricane Harvey. 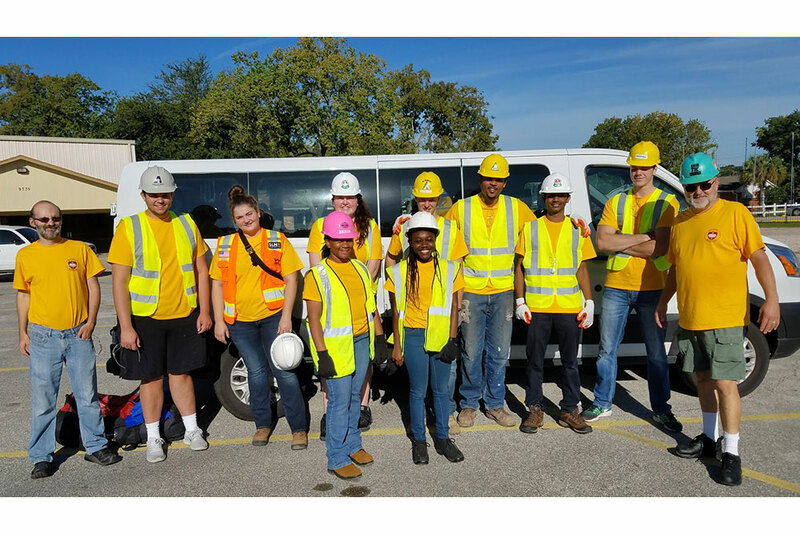 Terri Norton, associate professor of construction engineering, led a group of students from The Durham School to Houston to help with the recovery efforts after Hurricane Harvey. Our service trip to Houston was a success. I took eight students down to Houston to assist with the repair of homes damaged by Hurricane Harvey. 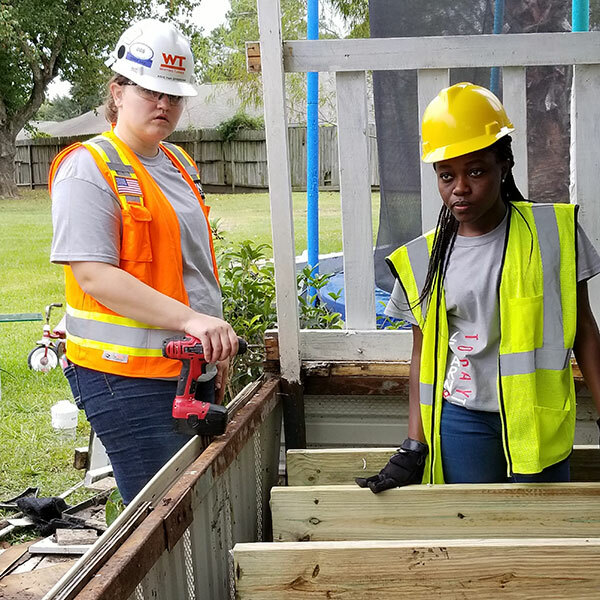 We partnered with the Seventh Day Adventists Disaster Response Team from Nebraska and the Little York Iglesia Adventista Del Septimo Dia (local church) to repair two homes of their members. Our activities included drywall work, removal and rebuilding of a front deck/porch and subfloor repairs. On Saturday, we drove down to Galveston, Texas, so the students could see the coastline and type of residential construction along the coast. Watch a video shared by one of the partners with Adventists Disaster Response.